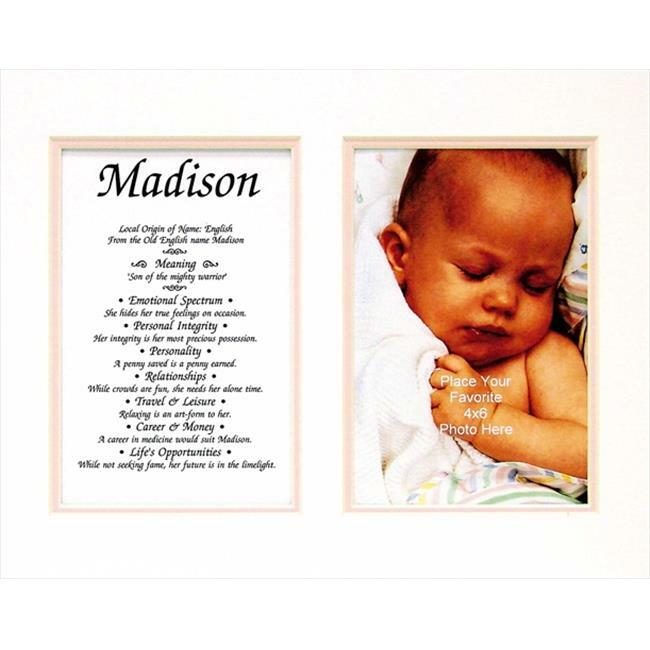 This beautiful, double matted print includes a profile of the meaning of any first name - origin, personality traits, and more. Add a favorite 4 x 6 in. photograph to create a cherished keepsake. Fits 8 x 10 in. frame. 10 in. x 0.12 ft. x 8 in.